India has entered full election mode: voting began on 11 April, and the final ballot will be cast more than five weeks later on 19 May. Every day, the BBC will be bringing you all the latest updates on the twists and turns of the world’s largest democracy. India’s top court has upheld Monday’s decision by the Election Commission to temporarily ban Dalit leader Mayawati from campaigning for 48 hours after she violated election guidelines. 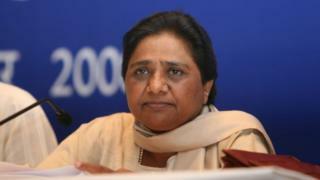 Ms Mayawati appealed against the decision in the Supreme Court on Tuesday. The commission’s decision is a setback for Ms Mayawati, who is seen as a regional heavyweight in the crucial state of Uttar Pradesh. It also comes at a crucial time for her, as some constituencies in the state head to the polls on Thursday in the second phase of voting. On Monday, she was reprimanded for cautioning Muslims against splitting their vote – she urged them to vote against the governing Bharatiya Janata Party (BJP) and to vote for her party and its allies. The state’s chief minister, Yogi Adityanath, was also pulled up on Monday for two different remarks against Muslims. He made both of the comments during rallies leading up to the first phase of voting on 11 April. The remarks by both leaders violate election guidelines because they are polarising and appeal to voters on the basis of identity. Rahul Gandhi, the president of India’s main opposition Congress party, and Arvind Kejriwal, the chief minister of Delhi, who heads the Aam Aadmi Party (AAP) have been unable to agree on a seat sharing agreement, ahead of polls in Delhi – and the spat has spilled on to Twitter. Delhi has seven seats in the Lok Sabha or lower house of parliament – The Congress had said it would give AAP four seats and contest in just three. But AAP, which runs Delhi’s local government is insisting on contesting in 5 seats. In a tweet, Mr Gandhi accused Mr Kejriwal, of “taking a U-turn” on talks of an alliance. Mr Kejriwal hit back at Mr Gandhi, saying that talks were still going on. “Your tweet shows that an alliance is not by desire but only a pretension. I am pained that you are giving mere statements,” he wrote on Twitter in Hindi. This is the latest Congress pre-poll alliance that seems to breaking down, which should be of great concern for India’s “grand old party”. Apart from a few states such as Bihar and Tamil Nadu, the party, which has ruled India for 49 years, has struggled to stitch together pre-poll alliances with crucial regional parties in many states. In Uttar Pradesh, the country’s most populous state which sends the highest number of MPs to parliament, the party was left out of a “grand alliance” of regional parties, who banded together to take on the dominance of the ruling Bharatiya Janata Party (BJP). This latest fiasco in Delhi is not helping it either. 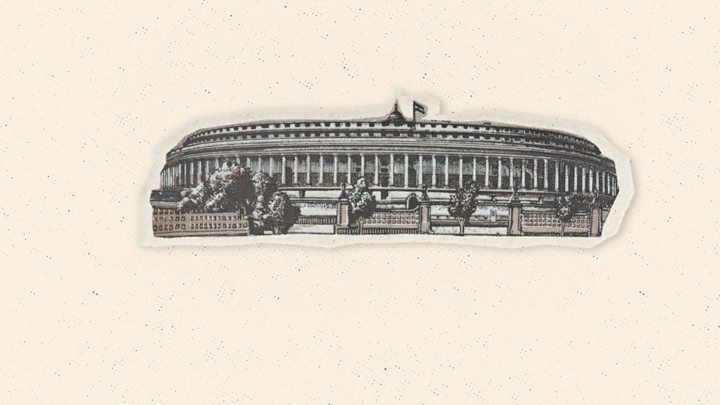 Writing in The Wire website, reporter Ajoy Ashirwad Mahaprashasta says that the party has also had “a hard time retaining its old partners”. For example, the party was shaken when Sujay Vikhe Patil, the son of a stalwart Congress leader, joined the BJP in Maharashtra. The Reuters news agency quoted political analysts as saying that although Rahul Gandhi has been willing to bend to regional party demands, he has been undermined by Congress leaders’ unwillingness to compromise or play second fiddle to these outfits. Analysts say this failure to forge key pre-poll alliances will only help bolster the BJP and its Hindu nationalist agenda. “The 2019 battle is not to save Gandhi family or Congress party, the battle is to save India and its future,” Shahid Siddique, editor of a Urdu language weekly newspaper, told Reuters. India’s Election Commission temporarily banned Uttar Pradesh chief minister Yogi Adityanath and Dalit leader Mayawati from campaigning for violating election guidelines. Are India’s election guidelines toothless? Mr Adityanath, a senior politician from the ruling BJP, cannot address any public meetings or rallies, and cannot even speak to the media for 72 hours starting from 06:00 local time on Tuesdat. The same applies to Ms Mayawati, president of the regional Bahujan Samaj Party (BSP), but her ban ends in 48 hours. Ms Mayawati was pulled up for cautioning Muslims against splitting their vote – she urged them to vote against the BJP and for her party and its allies. And Mr Adityanath has been reprimanded for two different remarks against Muslims, both made during rallies leading up to the first phase of voting on 11 April. In one speech he had said the main opposition Congress party was infected with a “green virus”, a reference to Muslims. In another speech, he said, “If you have faith in Ali, we have faith in Bajrang bali”. The provocative remark plays on the religious differences between Muslims (Ali is the son-in-law of Prophet Muhammad) and Hindus (Bajrang bali is another name for the Hindu god, Hanuman). This commission’s decision is also a setback for Ms Mayawati and Mr Adityanath ahead of the second phase of voting in Uttar Pradesh on Thursday. Both leaders are regional heavyweights in what is a crucial state for any party looking to win a majority at the centre – it sends 80 MPs to parliament. Indian politician Jaya Prada hit back at Azam Khan, a sitting lawmaker, for allegedly making a remark about her underwear. “I am a woman and I can’t even repeat what he said. I don’t know what I did to him that he is saying such things,” she told ANI news agency. In a video that was shared widely, Mr Khan was heard saying that the politician wore “khaki” underwear – a reference to the brown shorts worn by members of the rightwing Rashtriya Swayamsevak Sangh (RSS), the ideological fountainhead of the governing Bharatiya Janata Party (BJP). Although Mr Khan did not name anyone, his comments have been widely interpreted as a reference to Jaya Prada, a former actress, who is contesting on a BJP ticket from Rampur in the northern Uttar Pradesh state – and directly taking on Mr Khan. A police case has been registered against Mr Khan, who is from the Samajwadi Party (SP) – a regional force in the bellwether state. But he has denied that he was referring to Ms Jaya Prada. He said he was referring to a man. Mr Khan has a reputation for courting controversy. In 2014, he was banned from addressing any rallies in Uttar Pradesh after the election commission found him guilty of making communally divisive remarks. But this, many observers say, is a new low and proof of the casual misogyny female politicians continue to encounter in India although women leaders play a big role in many political parties. His remarks, reportedly made at a rally on Sunday, quickly drew ire from opposition politicians and other observers. The National Commission for Women also took note, with chairperson Rekha Sharma calling it “disgraceful” and saying she would ask the Election Commission to bar him from contesting. Ms Jaya Prada unfortunately, is not a stranger to such remarks from male politicians. Firoz Khan, another SP leader, had earlier likened her to a dancer who would entertain the people of Rampur with her “moves” and make campaigning “colourful”. She especially attracts nasty comments from SP leaders because she used to be a member of the party. Possibly because they see her as a formidable opponent – she won the Rampur parliamentary seat in both 2004 and 2009. How do you vote in the election?